What is Oriental Herbal Medicine? Oriental herbal medicine is an ancient system of health care that has undergone continual development over the centuries as the causes of illnesses that afflict mankind have evolved. In its country of origin it is not an alternative form of therapy but is used in the state hospitals alongside conventional western science-based medicine. If you feel that Oriental Herbal Medicine is for you and want to book a session please call 0208 549 8000. You can also check our Therapists own pages for their individual availability. 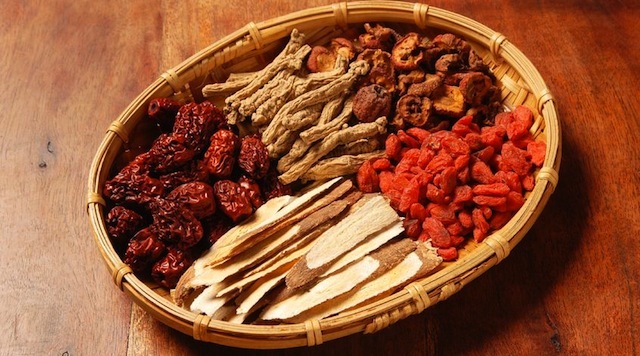 Adverse reactions to Chinese herbs are extremely rare and are negligible when compared to those commonly produced by pharmaceutical drugs. Herbs are now available in a number of formats, both traditional and modern. The herbs may taste unusual at first to anyone who has not tried them before, but most people get used to the taste very quickly, or they may be prescribed in capsule or tablet form. I am greatly concerned about the threat to wild animals and plants that has come about as a result of the growth in demand for traditional medicines. Therefore, I adhere to a strict policy of not using any endangered species. Oriental medicine can be employed by people of any age or constitution, and any previous or current illness or medication is taken into account before providing treatment.